Powerful Neodymium Magnets Grade N42, stronger than N40, N38 and N35. Neodymium Magnets 0.375 inch x 0.125 inch Thick Rare Earth Disc Magnet with 0.25 inch x 0.125 inch 90 degree countersunk hole. 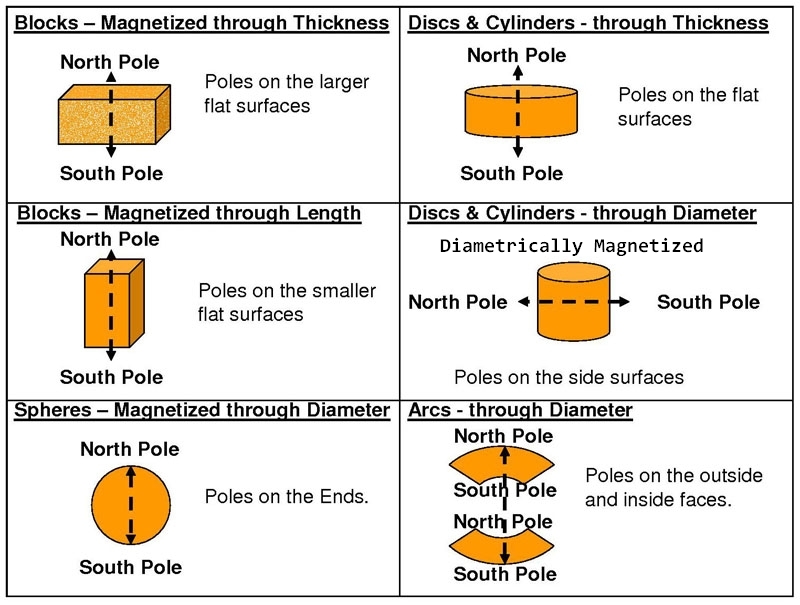 Magnet Polarity: Magnetized through the Thickness, poles are on the two flat surfaces.